How can you ensure that all your employees are trained effectively, irrespective of their physical abilities? How can you develop e-learning courses that can be accessed by all employees, including those who are differently abled? Focusing on the 4 key aspects listed in this infographic will help you achieve this. 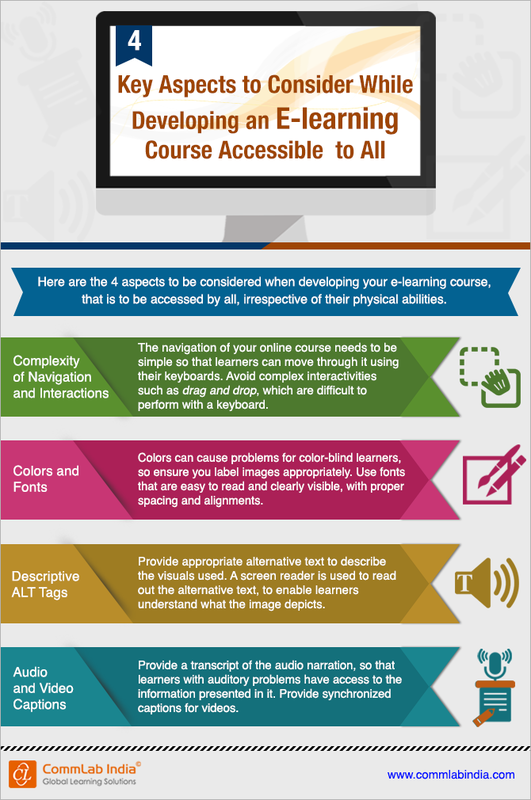 Hope you now have an idea of what goes into developing e-learning that can be accessed by all.